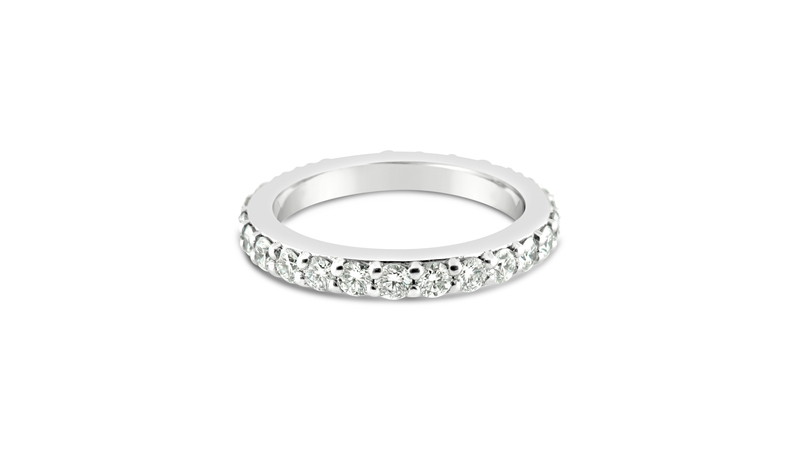 Shared prong 14kt white gold eternity band with 27 round diamonds, total weight .92 carats. High quality diamonds are hand picked. Can be stacked. Price is based on finger size 6. Other diamond and finger sizes are available. Can be ordered in 14kt or 18kt white, yellow, or pink gold, or in platinum. Please contact us for pricing.